This post has already been read 4229 times! KEARNEY – Entries are being accepted for the 25th annual Nebraska Handwriting Contest, which promotes legible handwriting as an effective means of communication. The contest is open to all Nebraska residents in four age categories: 12 and under, ages 13-16, ages 17-49 and age 50 and over. Administered by the Department of Teacher Education at the University of Nebraska at Kearney, the contest is endorsed and supported by the Nebraska Department of Education and Nebraska State Education Association. First- and second-place winners in each category will receive $25 and $15 gift certificates to Sequel Bookstore in Kearney. Winning entries will be judged in April and posted at http://coe.unk.edu/contest. 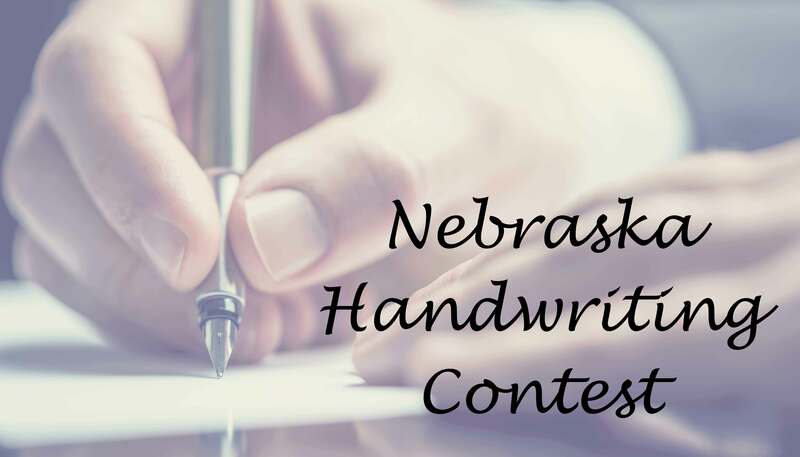 All entries should be mailed to: Nebraska Handwriting Contest, Attention: Julie Agard, University of Nebraska at Kearney/Department of Teacher Education, Kearney, Neb., 68849. Requests for hard copies of the rules and texts to be copied can also be mailed to Agard and should include a self-addressed stamped envelope. How can I see the results of this contest? I had entered and I was wondering how I did. Thank you. Here is the story with winners named.